In the morning, a body was discovered in the back seat of the sunken car--the body of Mary Jo Kopechne, one of the six unmarried women at the party the night before. The Edgartown police chief charged Kennedy with leaving the scene of an accident that caused personal injury. Kennedy pleaded guilty to avoid a trial, but his sentence was suspended. The public did not understand this "accident," and they demanded answers. The district attorney, Edmund Dinis, launched an inquest, but the proceedings were closed to the public. The mystery surrounding this incident still baffles some to this day. 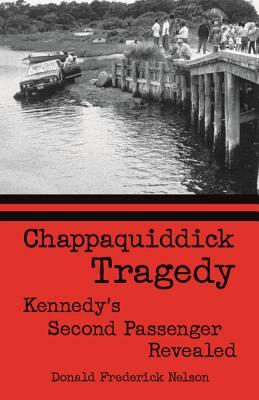 Why was Kopechne in the rear seat? Why didn't Kennedy call for help after the crash? Why did Kennedy flee to Edgartown? Why was Rosemary Keough's handbag found in the submerged, inverted car on the ceiling of the front-seat compartment? Perhaps, as the author proposes, there is an alternative theory that would answer all of these questions.